ST. GEORGE — Future Farmers of America students from three Southern Utah high schools had the opportunity to meet world-renowned agriculture authority and autism advocate Temple Grandin during a recent trip to Utah State University. Students from Snow Canyon, Desert Hills and Hurricane high schools left March 4 to attend a speaking engagement with Grandin and tour the USU College of Agriculture and Applied Sciences. Grandin was one of the first people with autism to give insight into how people on the spectrum think through her book, “Emergence: Labeled Autistic.” According to her website, Grandin’s autism helps her understand what animals are thinking and feeling, giving her the ability to widely influence the way livestock is handled around the world through her research in animal behavior, meat production and facility designs. 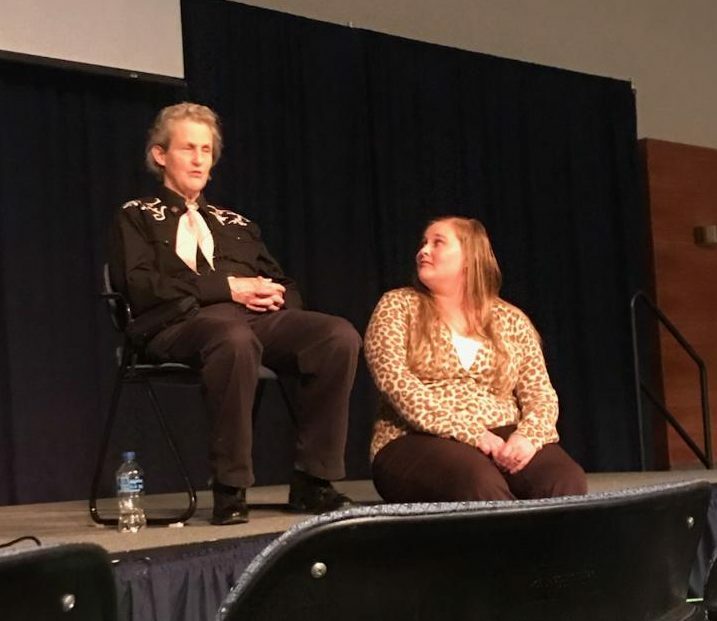 Grandin discussed some of her research on animal behavior during her 45-minute speech at USU, after which Snow Canyon and Desert Hills students had the opportunity to ask Grandin questions during a private 20-minute meeting. The private meeting came about through Campbell’s connection with Grandin as one of her past students at Colorado State University where Grandin teaches animal science. Campbell was inspired by Grandin at a young age when she saw her movie, “Temple Grandin.” She first saw her speak as a senior in high school when her science teacher planned a special field trip to CSU so that she could see her. During the trip to USU, Campbell toured the university’s Aggie Chocolate Factory in a group with Grandin and attended a luncheon with her. The students also took a tour of the university’s agricultural department where they got to see cows being milked by machines and enjoying a massage machine. 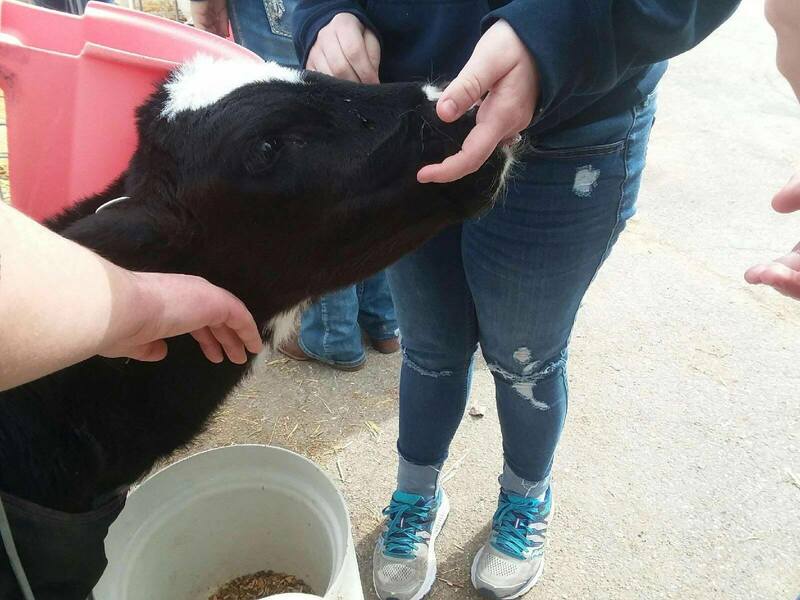 They were also able to pet calves, see cloned sheep and watch USU students practice for an infectious disease situation. The experience of touring the campus, hearing Grandin speak and being able to ask her questions in a more private setting was both educational and inspiring for the students. “It was just really cool seeing her and how people have treated her so horribly and, in spite all of that, how far she’s come and how many wonderful things she’s done,” Snow Canyon student Chloe Andes said. Mikayla Shoup grew up in the beautiful mountain town of Flagstaff, Arizona. She recently graduated from Northern Arizona University where she worked for the university's newspaper, The Lumberjack, as a features writer, photojournalist and assistant news editor. In her free time, Mikayla loves exploring the outdoors, traveling and playing with her dogs.